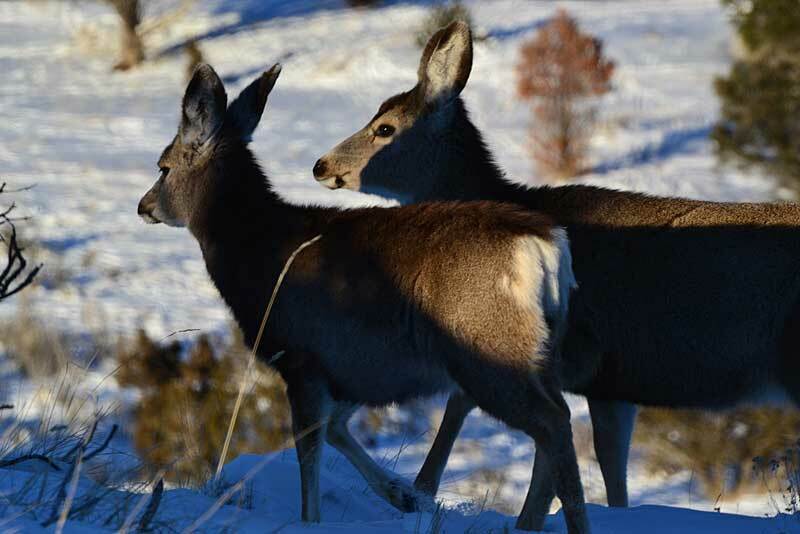 Division biologists from the Southeastern Region have been monitoring winter conditions and possible effects on mule deer populations. 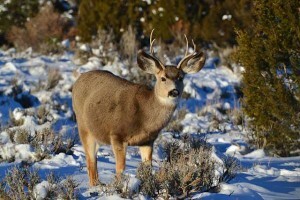 I took a ride on New Year’s Eve, and again on New Year’s Day to see how the deer were holding up. It was 13 degrees F on the 31st, and 15 degrees on the 1st. The good news is, the deer looked robust and healthy. I saw 13 different bucks, four of them mature bucks. There are quite a few fawns. In an upcoming post, we will provide data on post-season buck:doe:fawn ratios. The bad news is that there were sure a lot of people out and about. On Friday, I ran into two cow elk hunters, two lion hunters, guys checking gas wells and others spotting elk. On Saturday aftenoon, there were about 35 to 40 different vehicles on the roads west of Price, with the occupants just out looking at deer. 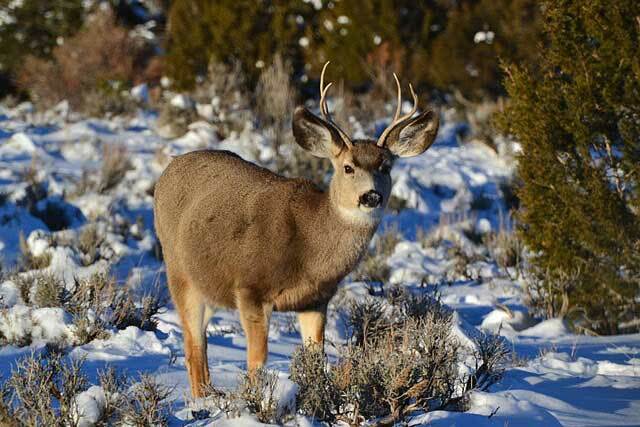 We appreciate all the interest in deer and that many enjoy the chance to get out and look at them. 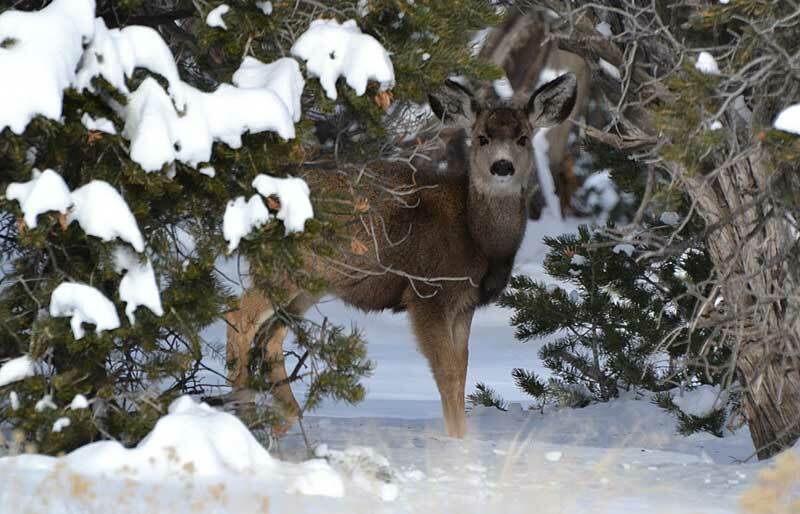 We just ask that you do stay on roads and do not walk about in areas where deer are. Winter is a critical time of year for deer. They do not eat enough in a day to live on, so they must use their fat reserves they stored in the summer and fall. Survival will be enhanced if we just leave them alone until April. That is why we ask shed antler hunters to wait until then to go collecting. All in all, though, right now things look good. 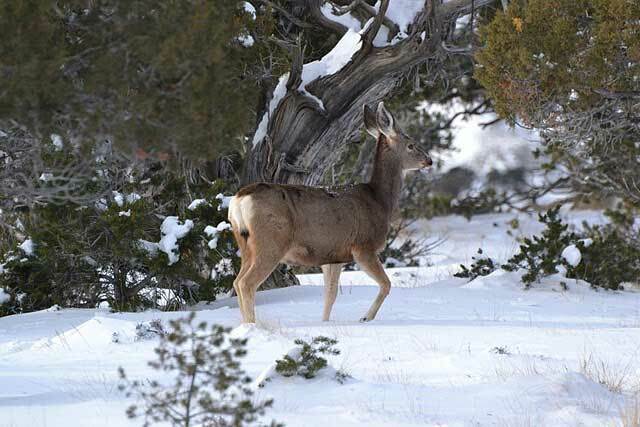 With a mild, wet winter, deer should fare well through the winter.